You are here: Home > Don’t Be Afraid! Did you know that roughly 80 percent of Americans are afraid of the dentist? That’s a staggering number considering that nearly all of that 80 percent actually go to the dentist. Most dentist fear and anxiety stems from the sounds of drills, or having to open wide for a little too long. Add that with needles in the mouth and even the biggest, strongest person could become light-headed with the thought. Now in the states, a new story has emerged that puts the fear of drills and x-rays at bay with the bigger issue: safety. At Bethany Family Dental, we put your health and safety first. With over 175,000 dentists practicing in the United States, it’s no wonder that certain safety guidelines go unregulated. A practicing dentist in Oklahoma put nearly 7,000 patients at risk of an infectious disease due to his lack of following state-regulated guidelines. This is only one dentist out of 175,000 and his failures to implement proper treatment and care should not devalue the overall success of the American dental system. Dentists in America are regarded as some of the best in the world. Rigorous training and constant continuing education assures that patients are safe in the dental chair. The American Dental Association, along with schools, organizations and dental boards have ensured the safety of patients for the past 25 years! • Ask him or her how their instruments are sterilized. You could even go so far as to ask them to show you! • Are the operatory rooms cleaned between visits? • How many pairs of gloves does the doctor and staff use for each patient? • Ask to see a copy of their autoclave validation. • Ask to see their dental plaque showing their credentials. 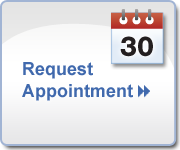 A great way to alleviate any of your concerns is to contact us here at Bethany Family Dental. Any one of our friendly staff members are happy to answer any questions you may have regarding our practices and your safety. We want our patients to feel relaxed and comfortable at every visit. Your safety is our number one priority.